Students learn to work with concrete. Though for centuries overlooked in the skilled trades, women are making a comeback in a big way in construction. Equipped with ambition and seeking out educational and training programs tailored specifically for them, Michigan women are building the future—one brick, beam, or conquered stereotype at a time. Grand Rapids continues to experience rapid growth. Cranes dot our skyline and new projects are seemingly announced daily as local and national developers seek to gain foothold in a bourgeoning economy. But with a continued labor shortage and a skills gap in the construction industry, who will fill those steel-tipped boots, don the hard hats, and put to work the skills necessary to build the future homes of successful companies, individuals, and families? Though in 2016, women made up only 9 percent of the construction industry, the pay gap is substantially less than in other professions—95.7 percent (compared to 66.3 percent for professional and technical services and 77.8 for education and health services). This number is huge in a community like Grand Rapids and West Michigan where construction projects and jobs are steadily flowing, and training and education programs for women are meeting the demand for a growing workforce. The nonprofit Women in Skilled Trades (WIST), based in Lansing, believes that women should pursue skilled trades "because it's a place where you can go into an apprenticeship earning more than a living wage," says Cindie Alwood, executive director of the Women's Center of Greater Lansing. Formed in 2016 with the desire to prepare women for such apprenticeships, WIST was the brainchild of two women—Tori Menold and Carol Cool—who wanted one simple thing: to empower women to pursue careers in the skilled trades. Developing an advisory committee with members from Associate General Contractors of Michigan, the US Dept. of Labor, and Michigan Works, Menold and Cool formed WIST as a subsidiary of the Women's Center, an existing nonprofit with a history of helping women in Michigan's capital. Alwood says that WIST kicked off their programming with a day-long, free "Women Build" event that invited women to try their hand at various trades. "One of the best recruiting strategies that the unions have found is to get people in there to actually see what they do…it's not as intimidating as it might appear," she says. Holding their first Women Build in September 2017 in Lansing, WIST taught women how to stencil cement, frame walls, and wire outlets, among other skills. The second event was held in February in the community of Perry, Mich. With a low barrier to entry and a welcoming attitude, WIST is opening the minds of Michigan women by showing them that any particular skilled trade is not out of reach. Currently, the women of WIST are gearing up for their first 13-week apprenticeship program. Meeting just two nights per week and a half day on Saturday, the program will cover all of the basics, preparing women to hit the ground running in a skilled trades apprenticeship. But why the desire to prepare so many women for skilled trades in the Mitten State? "A lot of the need for skilled trades workers in Michigan is because the old guard is retiring, and the new folks that are coming in are a little bit more enlightened," says Alwood. And with a focus on equality across all sectors in America, now is an especially good time to get one's foot in the door. "Girls have been raised over the last couple of decades to expect respect on the job," adds Alwood, who notes that requesting something simple like a separate woman's port a john on a worksite has become somewhat easier in recent years thanks to the prevalence of women in the field. Alicia PizanoOne such construction professional is Project Manager Alicia Pizano of Triangle Associates, Inc.. Pizano, who has spent the past five years at this GR-based construction company and started her employment as an intern, is familiar with the bias against women in skilled trades. "That's the biggest challenge of being a woman in the field…it's society's perception that women belong in an office somewhere or being at home with kids," says Pizano. "You don't normally see a woman with a hard hat and work boots." As a project manager, Pizano is at home in a uniform that in decades past may have seemed inappropriate for a young woman. Traveling on-site to work with carpenters, electricians, plumbers, and planners, she enjoys getting her hands dirty in the field. 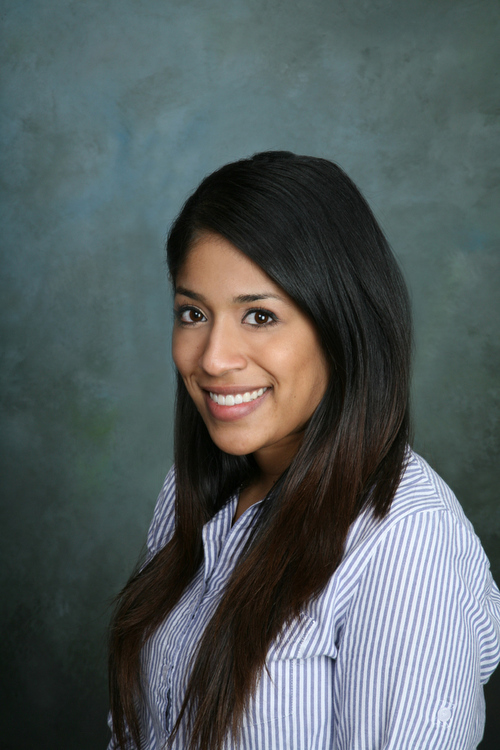 A former architecture student, Pizano gravitated toward classes on drafting and construction materials and eventually changed her major to construction management. "I just kind of dug in to what that degree was…that was just what interested me more," she says. Working full time and also attending classes full time at Ferris State University, Pizano was one of only a handful of women in her program. This experience prepared her to be the minority in a male-dominated profession years later when she would enter the workforce. "I knew there was a lot to learn in my role, I felt uncomfortable at meetings in the office, interacting with men that were older and with a lot more experienced in the industry," says Pizano. "I was the elephant in the room and to add to it, I'm Hispanic." As a woman of color, Pizano anticipated to be doubly misrepresented or stereotyped, but with time found her confidence and her voice. Just last year, she was promoted from assistant project manager to her current title as project manager. "I was putting too much emphasis on the stereotype," says Pizano. "It was always in my head and holding me back…we shouldn't have an issue with our career force, and if a man does, then it's his problem." The need for empowerment is clear for fairly new professionals like Pizano, as well as veterans like Erin Caszatt, lead detailer at Muskegon's Soils & Structures, who has been working in the industry for 17 years. 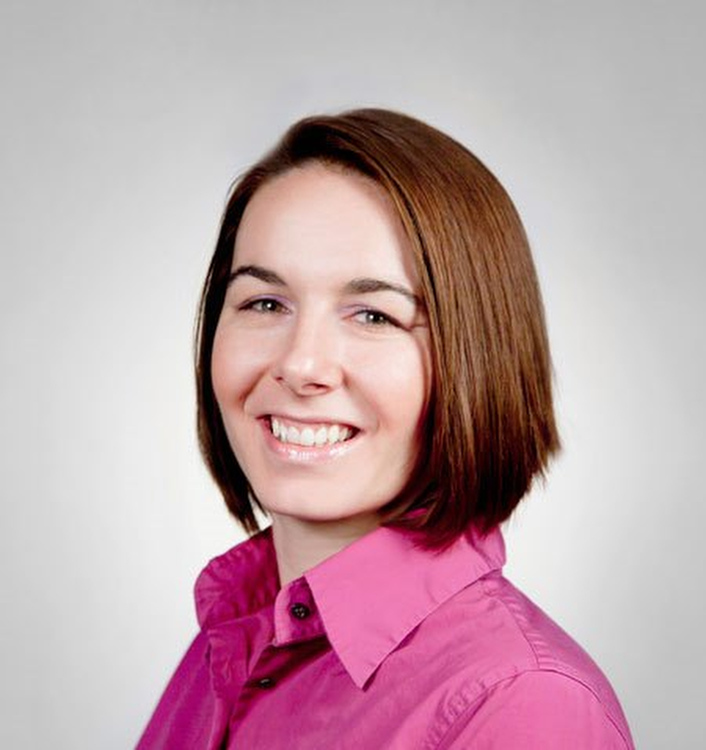 Caszatt is also the president of the Grand Rapids chapter of the National Association for Women in Construction. Erin Cazsatt"I have faced adversity and challenges with a few co-workers, but never with my direct superiors or managers. I have been extremely fortunate that my current and past employers are very supportive companies," says Caszatt. 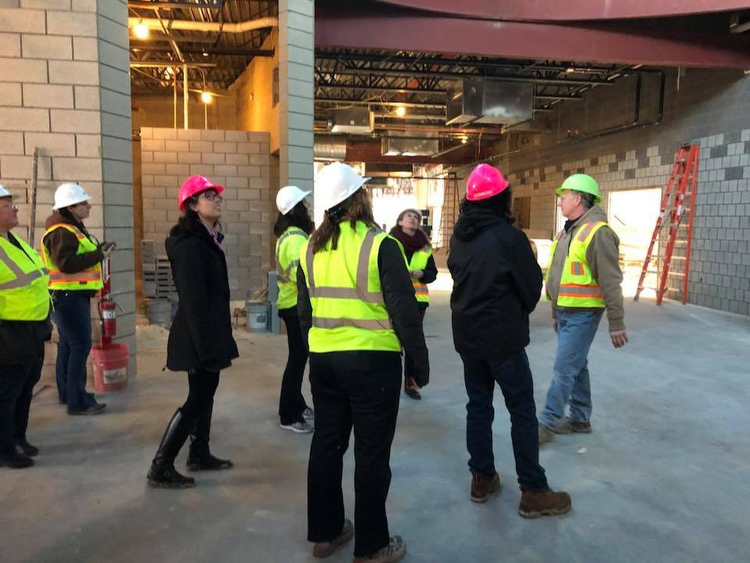 "In West Michigan there are new programs and events, such as Project: Accelerate, to encourage more women to consider Construction and Skilled trades as a viable career option. We need to continue to grow and facilitate these types of programs. However, while the current climate is focused on women, the Construction industry is in need of workers of all genders and at all levels." Project Accelerate is a workforce development program designed for women in construction, engineering design, and skilled trades. Founded in Detroit and opening doors for women in the industry in that city for five years, Project Accelerate expanded to Flint, as well as Grand Rapids, where it plans to launch its coalition program on May 16. This is a free training program for women over 18 and interested applicants are encouraged to apply now. Rita Brown, founder of BUILD and incoming Regional Director of National Association of Women in Construction-North Central Region, explains the program as "Union and non-union. Business and education. [An] all under one initiative which is to expand the workforce of the future as we inspire and facilitate the advancement of highly motivated adult women into this lucrative career path." She also addresses the small, but still existent wage gap in the industry. "In construction we are as close to parity in compensation as it gets....97 cents on the dollar....still not 100 percent but darn close and getting better," she says. For skilled trades professionals like Brown, who have come up in the industry and seek to lend a hand to their fellow women, education and access is vital. "Exposure, vision, and opportunity are the cornerstones to building and mobilizing the next wave of our skilled labor force. For women, it's a game changer," she says. So if you're looking for honest work with a decent paycheck, it's out there. If you're seeking a job in an industry that is inching close to gender wage parity, it does exist. And if you're just looking to break a sweat and be rewarded for a job well done, you are welcome in the skilled trades. On the job site and behind the scenes, designing and cementing, building and wiring, women are part of the vital construction teams that are building and rebuilding our great state. "If they're not seeing women out there, you don't know what you don't know," says Pizano. "Don't let the stereotype hold you back." “Constructing the future” is a 12-part series from Rapid Growth that will explore issues facing, and related to, West Michigan’s construction industry and the numerous organizations, trends and innovations seeking to create positive advances in our community. The series is sponsored by Triangle Associates, a West Michigan-based construction company that provides construction management, design/build services, general contracting, integrated project delivery, and more to projects locally and across the country. Images courtesy of Women in Skilled Trades, Erin Caszatt, and Triangle Associates, Inc., respectively.